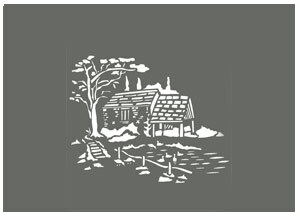 The charming Toile Duck Pond Stencil with its detailed farmhouse buildings, trees and ducks on the pond, is one of a selection of individual Toile du Jouy Stencils, taken from our popular large Toile du Jouy Countryside Toile Stencil. 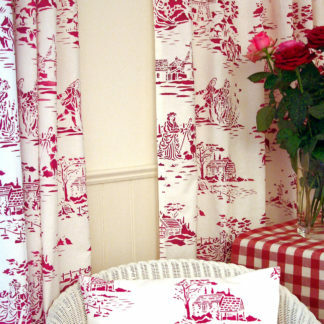 This single motif is ideal for random repeats, or for decorating with other individual toile motifs. 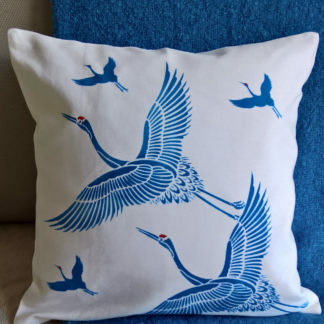 This design looks beautiful stencilled onto both walls and fabric for drapes and other linens in classic taupes, blues and reds. 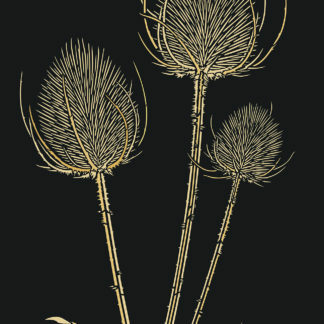 See size and layout specifications below. 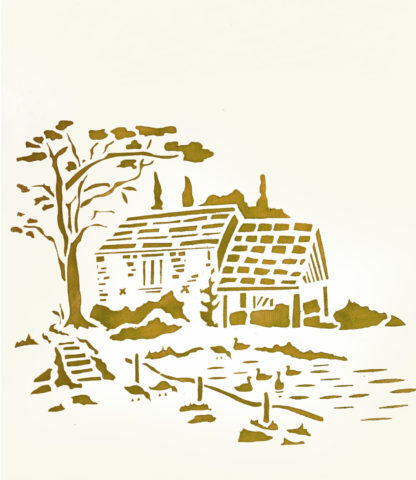 Above top – the Toile Duck Pond Stencil shown in Chocolat Stencil Paint. 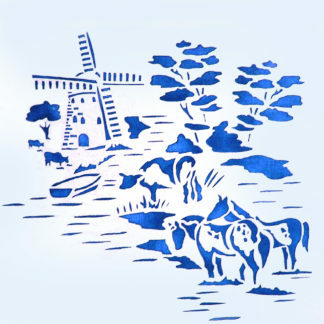 See also our other individual Toile de Jouy motifs the Toile Shepherdess Stencil, Toile Oast House Stencil Toile Duck Pond Stencil, Toile Courting Couple Stencil and Toile Windmill & Horses – all taken from the large Countryside Toile Stencil. 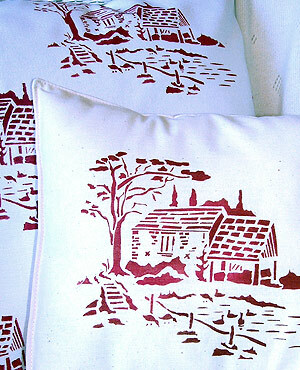 Above and below – the Toile Duck Pond Stencil in red on calico cushion covers. 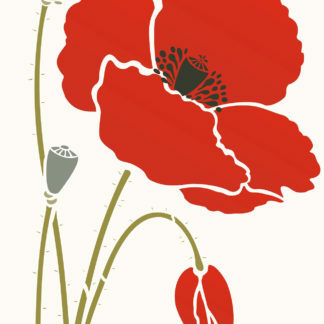 Stencilled in Raspberry Fabric Paint. 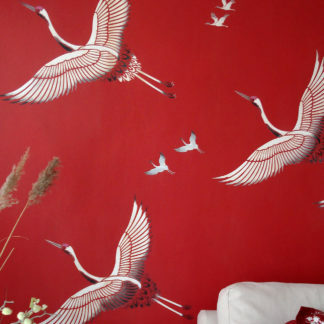 Toile Duck Pond Stencil in Raspberry Fabric Paint. 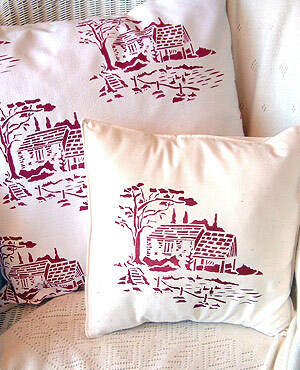 Above – the charming Toile Duck Pond Stencil repeated simply in horizontal rows. 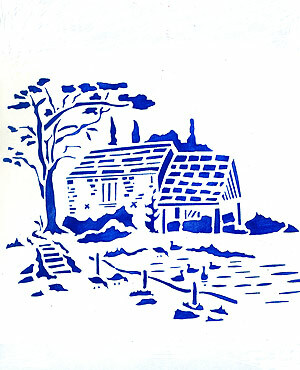 Shown in Persian Blue Stencil Paint. 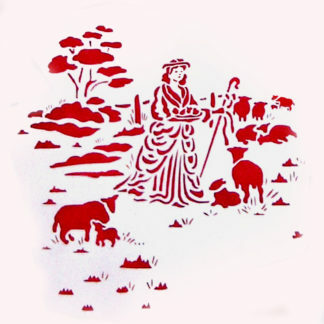 One layer stencil measuring approximately 28cm (11″) wide by 17cm (7″) high. 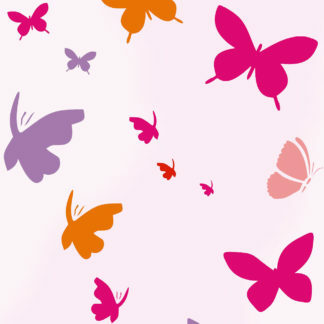 Sheet size 36cm (14″) wide x 24cm (9.5″) tall. 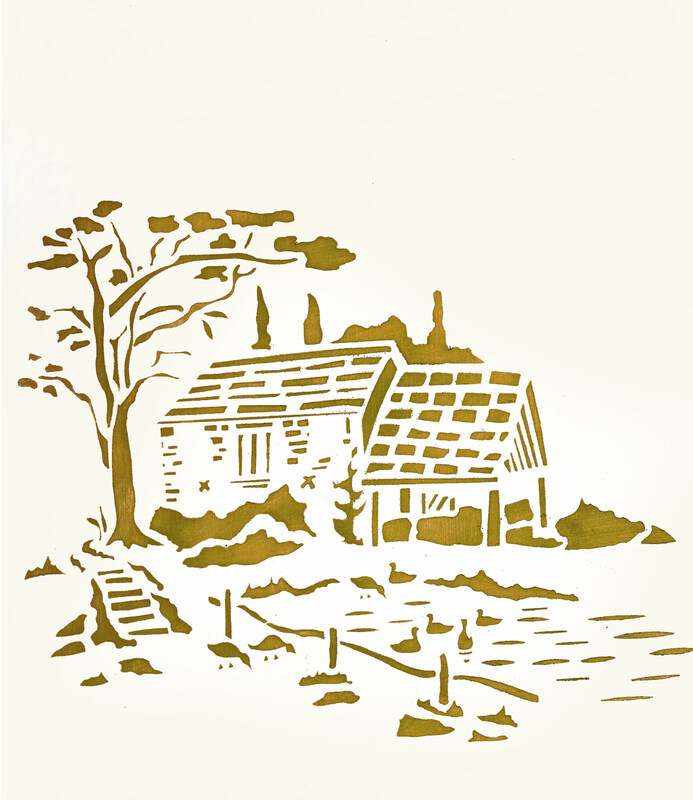 Left – the layout of the Toile Duck Pond Stencil sheet.